The "boys of summer" become the "girls of autumn" when they return to school and volunteer to don dresses and high heels for their high school's next womanless event. 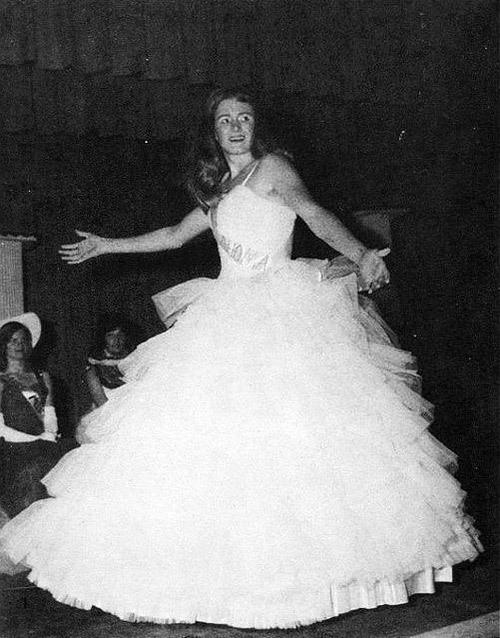 Whether it be Gender Bender Day, a womanless beauty pageant, Opposite Day, a womanless fashion show, a Cinderfella pageant or even Halloween, there are gurls in civilian clothing willing to put on their frillies for whatever cause comes along, just as Mark Ruth (above) did for the "Miss America" pageant conducted at Wynnewood (Oklahoma) High School in 1974. I hope you enjoy the view. Meanwhile, I am going to slip into a bikini and work on my tan. 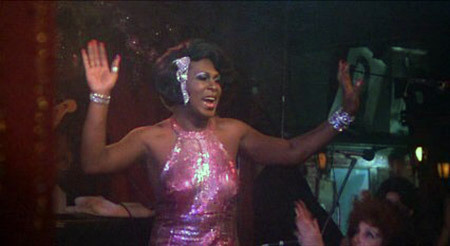 Sylvester portrays a female impersonator in the 1979 film The Rose. That Boston Proper dress is amazing.